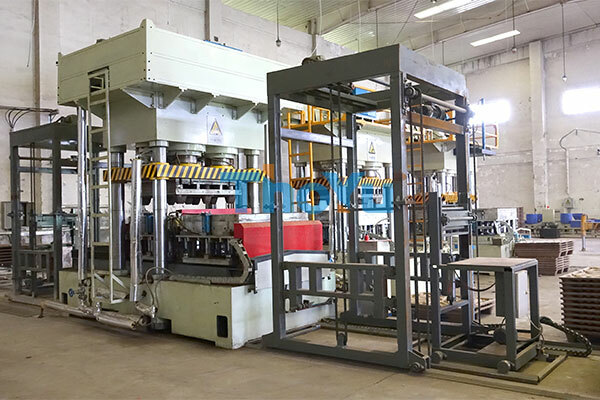 Double moulds presswood pallet machine is a new type of one time forming machine, compared with the single mould wood pallet machine.The capacity of double-mould press wood pallet machine is much higher than the single one, and more economical if you want large capacity. 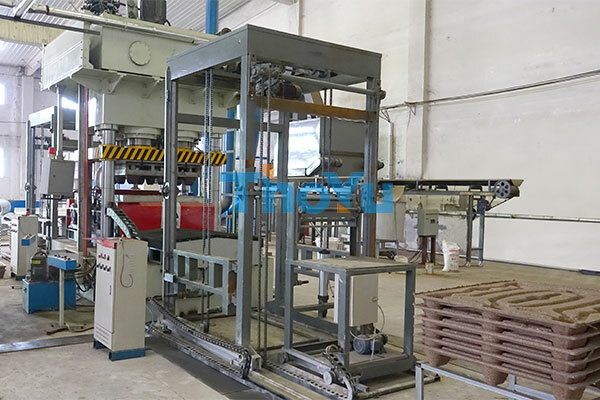 The presswood pallet making machine meets the requirement of environmental protection. 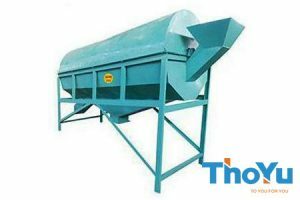 It can help you to recycle raw materials, such as wood chips, waste wood pallets, waste wood, timbers, kraft paper, straw, bamboo, even if plastic etc. 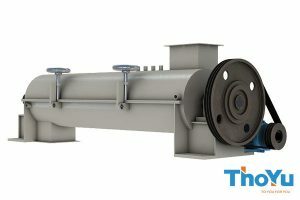 That can help you solve the problem of the environment and also make profits. 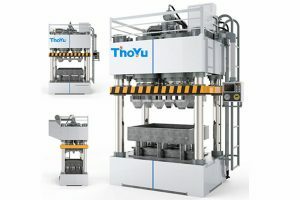 Presswood pallet machine adopts three-beam four-column structure. 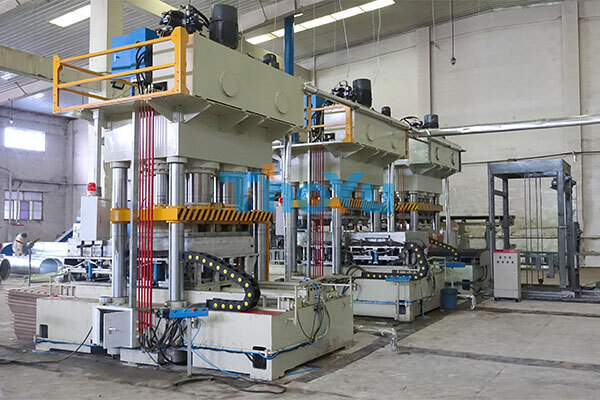 The four column guide device assures the precision of closing moulds and the stability of pressing during the working of press machine. 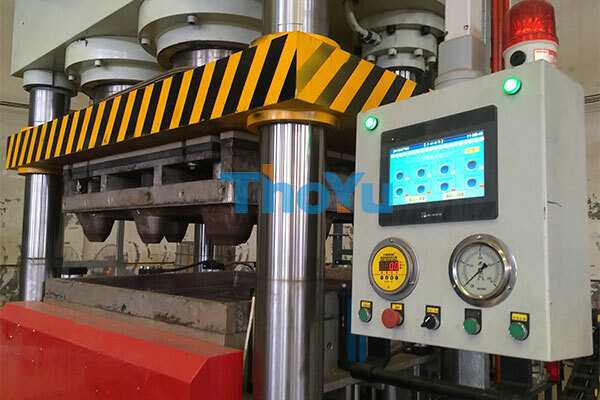 The raw materials of the pressing machine are all the durable materials, to minimize maintenance of the machine. 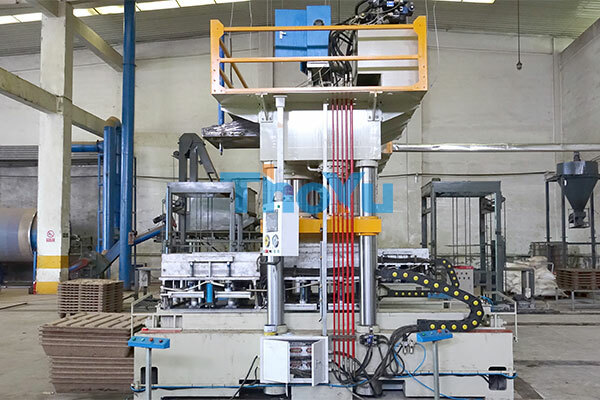 The upper mold is integrated with the “Sliding beam”, which doubles the strength, stability and precision. 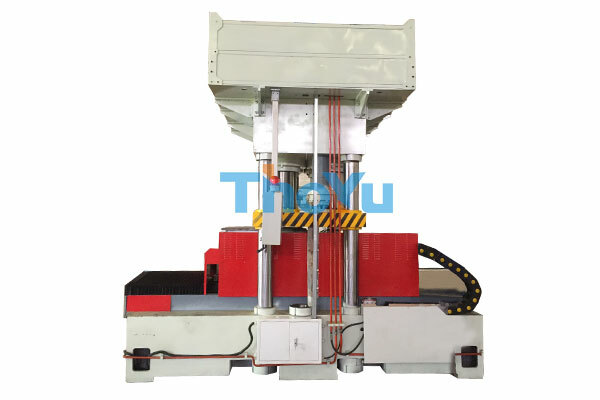 The capacity of double-mould press wood pallet machine is much higher than the single one, and it is more economical of large capacity. And the capacity can up to 280 pallets 24 hours. 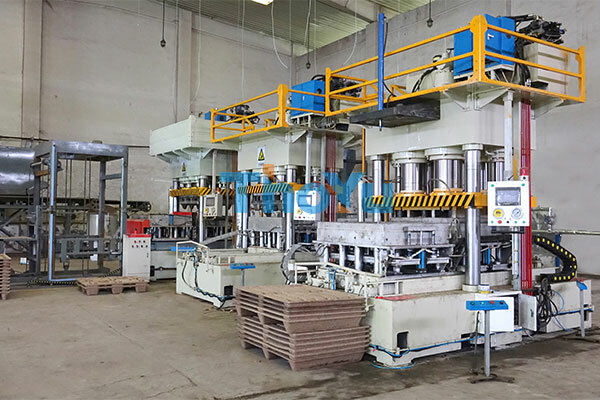 Double moulds press wood pallet machine can achieve all the process automatically controlled by PLC system. The final pallet is one-piece design with round edges without burrs. They can stack easily and space saving 60% than the traditional pallet. you can use logs or wood wastes (like waste pallets,wood scraps and other waste wood) to make presswood pallet,so how to make it? 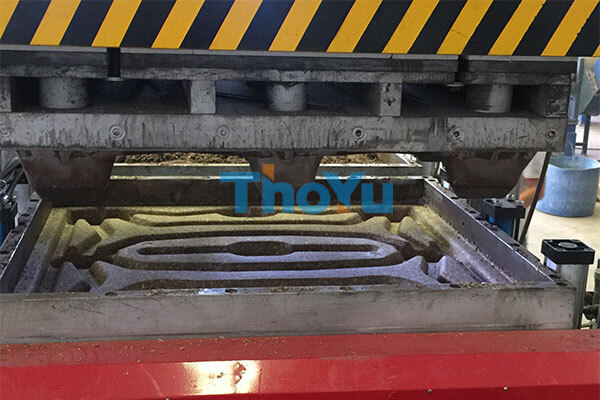 first,you must chipping the materials to chips(if needed), and then crushing them to small (length 30-50 mm, width 3-5 mm, thickness 1 mm), next drying the previous materials, then mixing with the gule according to a proportion, so the preliminary preparations have been completed,Of course, the previous processes can be automated, the last is putting materials into the mould and begin hot pressing, you can get the presswood pallet later. Perhaps you are confused about the entire production process, or feel that the whole process is more complicated. 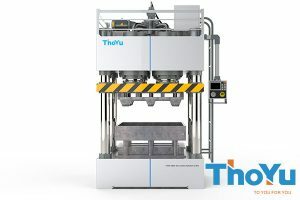 Don’t worry, we will provide you with fully automatic production solutions. 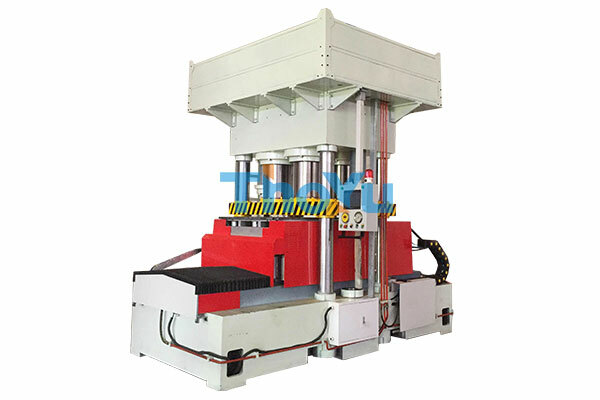 Remarks: it includes one set normal mould along with one set machine.